Bicton Hill in the Clump Mountain National Park. Looking for somewhere to take the kids to burn off some steam? 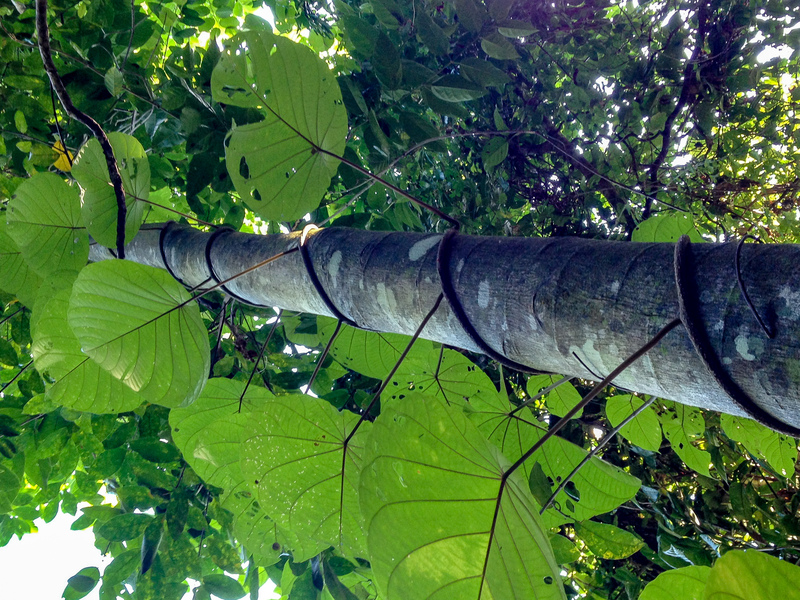 What about a walk up a nearby rainforest clad mountain? 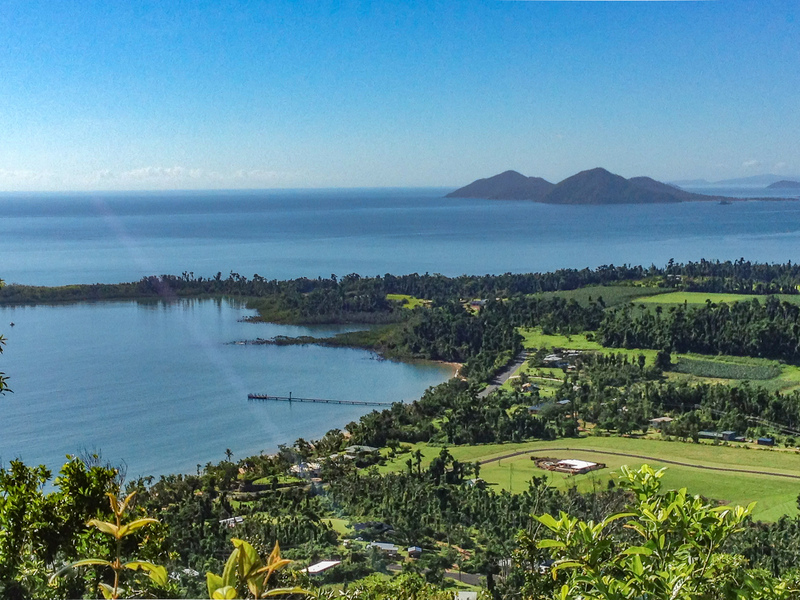 Bicton Hill is about 5km north of Mission Beach on the very scenic Alexander Drive/Bingil Bay Rd. 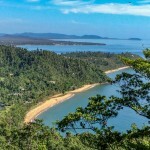 Head north out of Mission Beach village and follow the coast until you get to Bicton Hill which is located at the southern end of Bingil Bay beach. 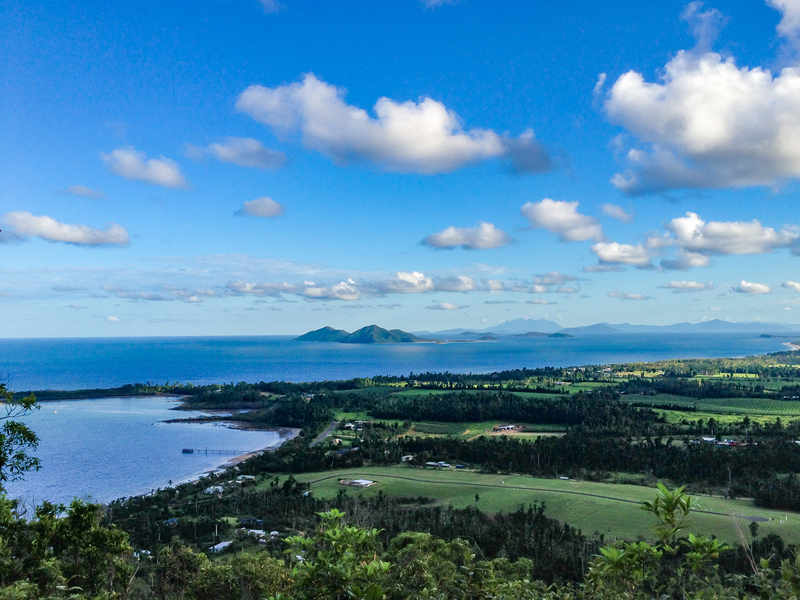 The Bicton Hill circuit track is the only accessible part of Clump Mountain National Park. 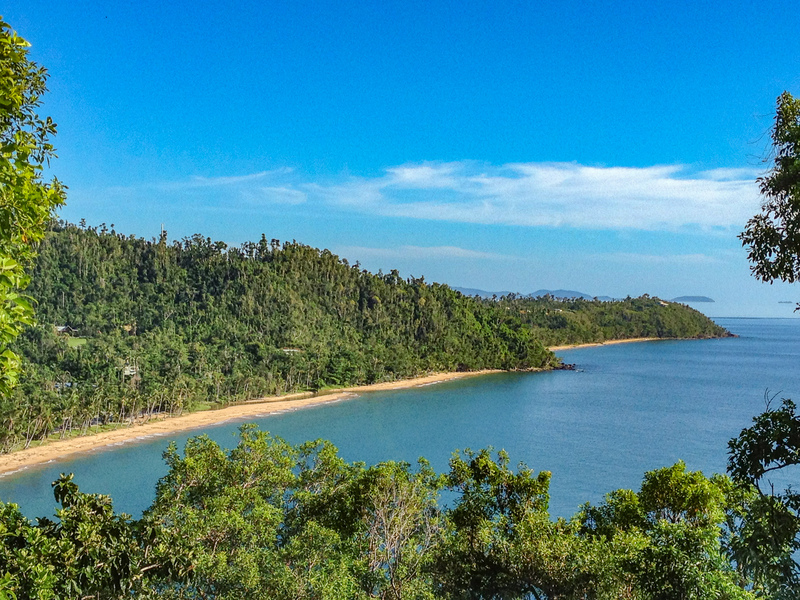 The park entrance, carpark and beginning of the walking track are 2km past the Clump Point jetty, 500m south of Bingil Bay. Other parts of Clump Mountain National Park are not accessible. 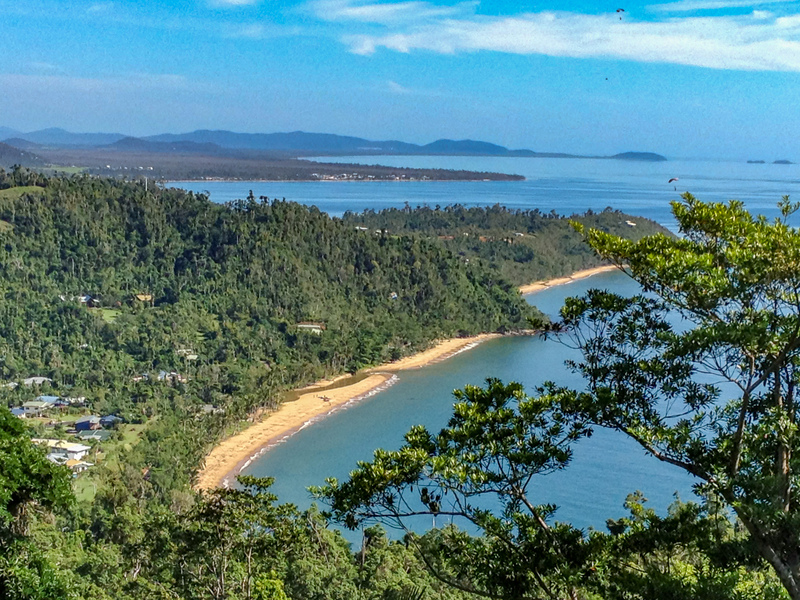 Take the Google Street View Virtual Tour of Bicton Hill including the summit lookout all the way down and along Bingil Bay Beach. Click on arrows to ‘walk’ through scenes, click/hold/drag around and up/down to move around each individual scene. Click the 4 arrows button at very top right of virtual tour image to enlarge to full screen. 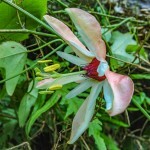 Photographed by Google Street View Pro Photographer, Paul Toogood. There are no wheelchair-accessible facilities at Clump Mountain National Park. 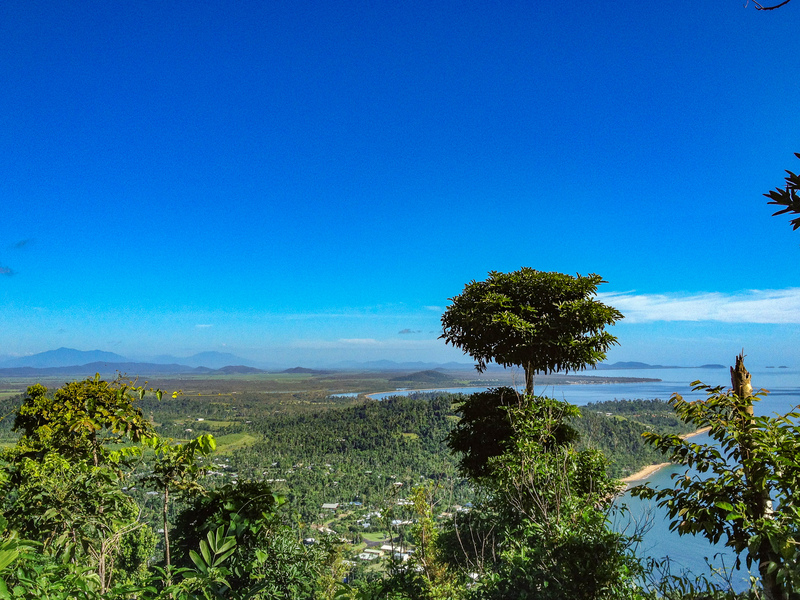 Clump Mountain National Park contains some of the few remaining patches of undisturbed tropical lowland rainforest in North Queensland. This forest type once grew extensively throughout these coastal lowlands but, due to clearing for farming, little now remains. 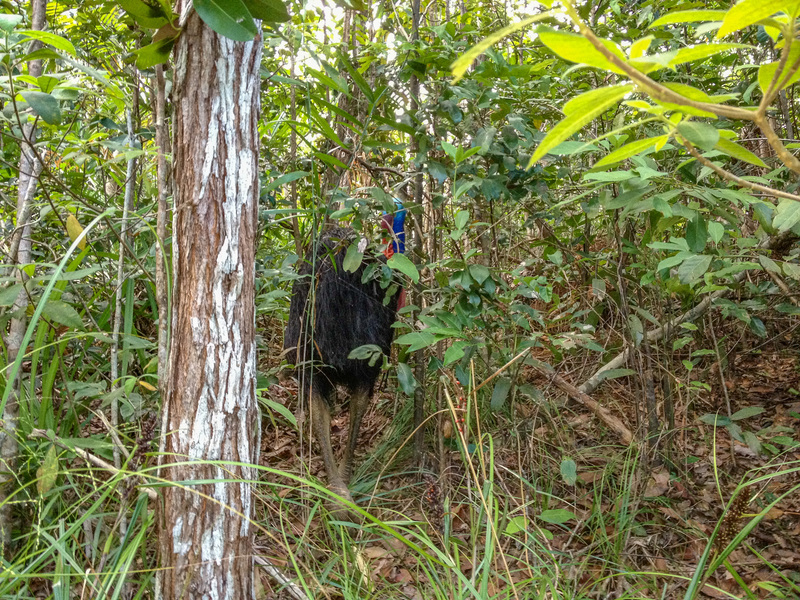 These remnants are important habitat for the endangered southern cassowary, a large flightless bird found only in the tropical rainforests of Queensland and New Guinea. 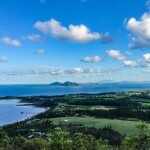 Bicton Hill is the main feature of Clump Mountain National Park. 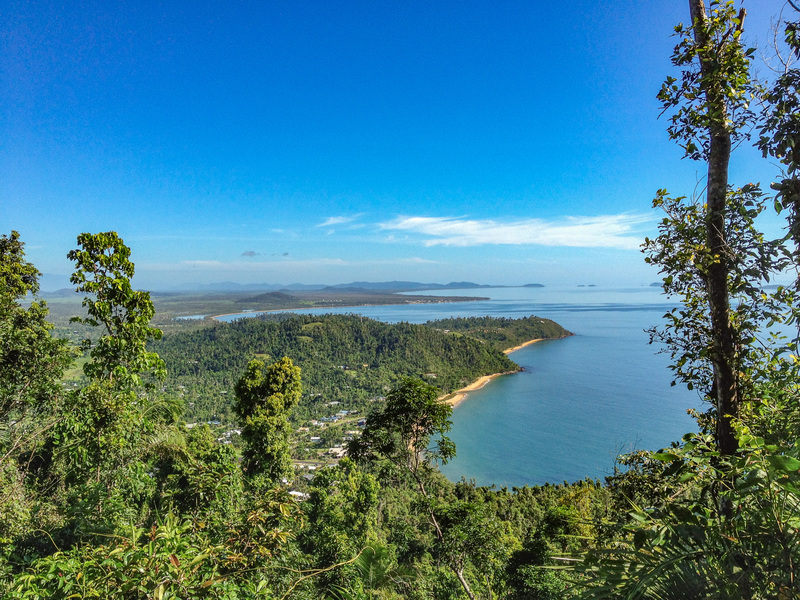 A circuit walking track up this moderately steep hill offers visitors spectacular mainland and island views, and a chance to see rare rainforest plants and the elusive cassowary. Clump Mountain National Park has historical significance for both Indigenous and European people. It is part of the traditional country of the Djiru Aboriginal people. 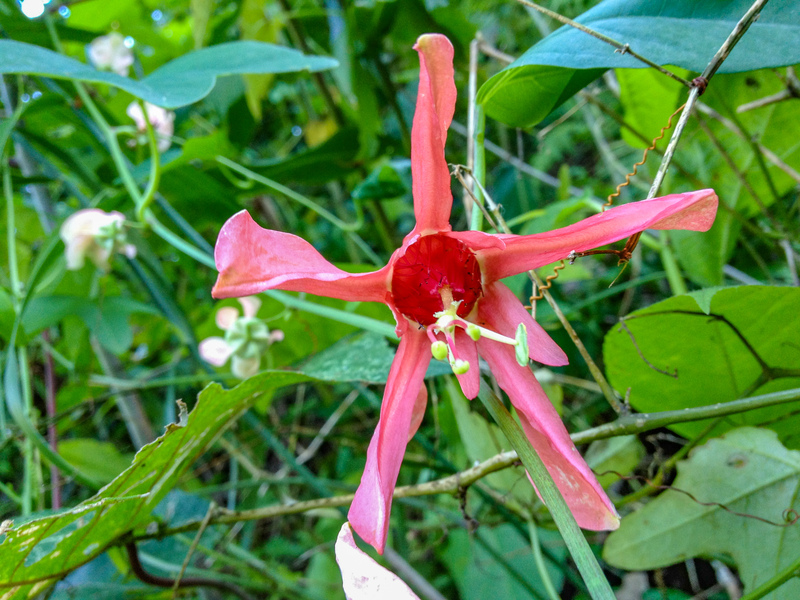 Nearby Bingil Bay was a favourite camping spot and rainforest plants were used by the Djiru to make fish nets, shelters, tools, weapons and medicines. 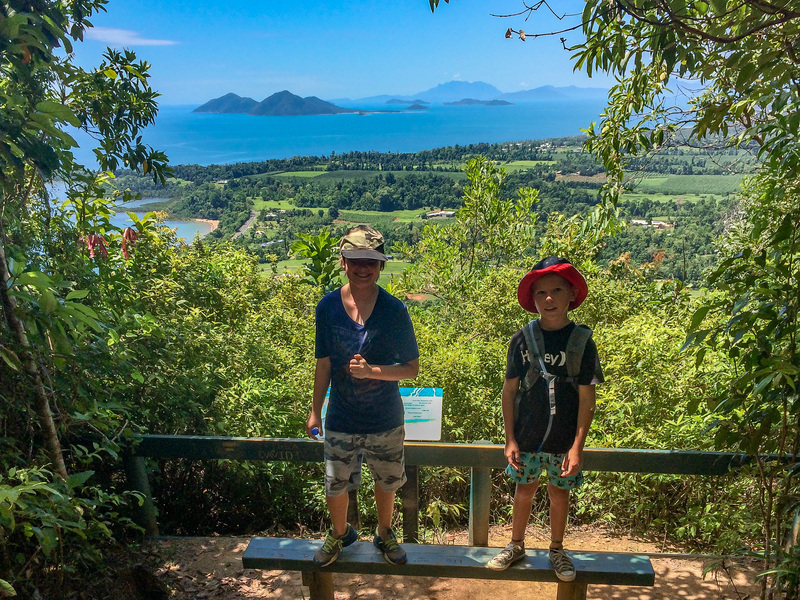 The summit of Bicton Hill was used as a lookout by the Djiru Aboriginal people and later as a ship lookout by the Cutten brothers, the area’s first permanent European residents. They named their property ‘Bicton’ after the town in Devon, England. 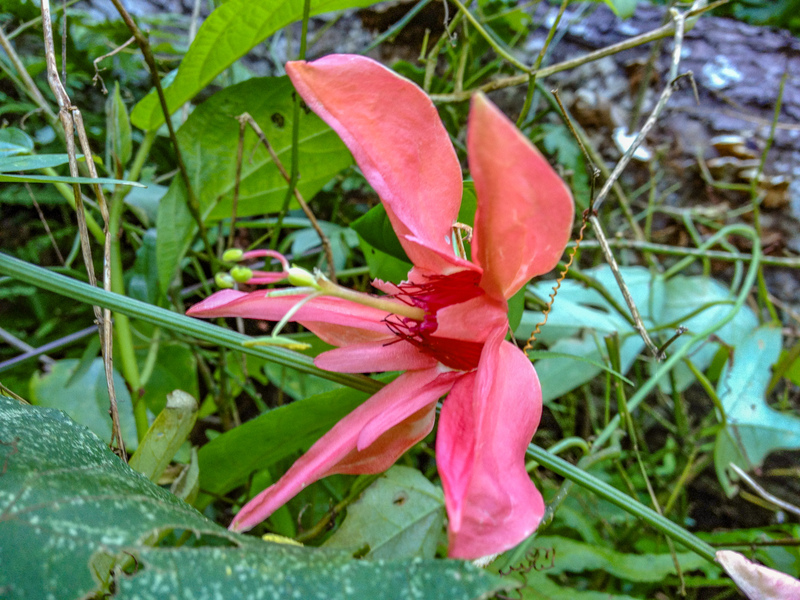 Read more about the nature, culture and history of Clump Mountain National Park. Camping is not permitted in Clump Mountain National Park. 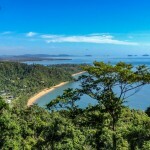 A range of accommodation, including motels, caravan parks and campgrounds is available at Mission Beach and the nearby towns of Tully and Cardwell. The track begins on Bicton Hill’s exposed eastern side, where sturdy trees such as brush box and swamp mahogany grow. Climbing steadily, the track circles around to the hill’s sheltered western side, which supports one of Australia’s few remaining examples of lowland rainforest. 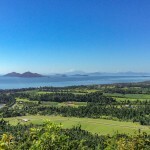 A trip to the summit ends at a lookout offering spectacular mainland and island views. From the lookout, continue around the circuit until it meets back with the original track to continue down the way you ascended. 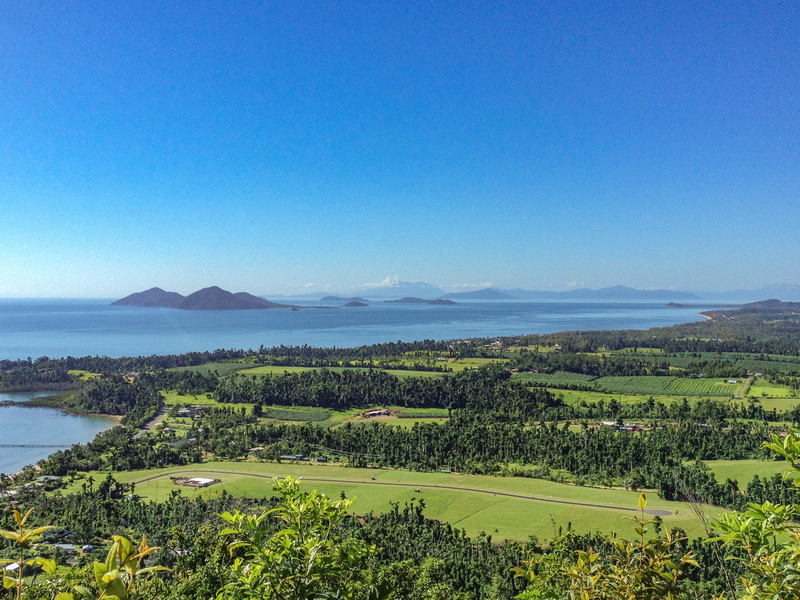 A couple of cleared areas along the walking track offer stunning views north over BIngil Bay. There are no day-use facilities in Clump Mountain National Park. Bicton Hill is a great place for watching wildlife. Along the walking track look for rainforest skinks, lace monitors and also the brilliant blue Ulysses butterfly. Go birdwatching. 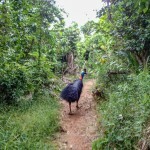 Lucky visitors might see a buff-breasted paradise-kingfisher or an endangered southern cassowary. 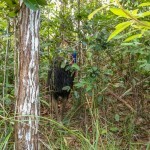 The migratory buff-breasted paradise-kingfisher nests in termite mounds here in summer and the endangered southern cassowary lives and feeds in the forest. Between October and March, watch the evening spectacle of migratory pied imperial-pigeons returning to the islands after foraging for food on the mainland. Go spotlighting at night to see the striped possum feeding on beetle larvae, flowers, fruit or the honey of native bees. 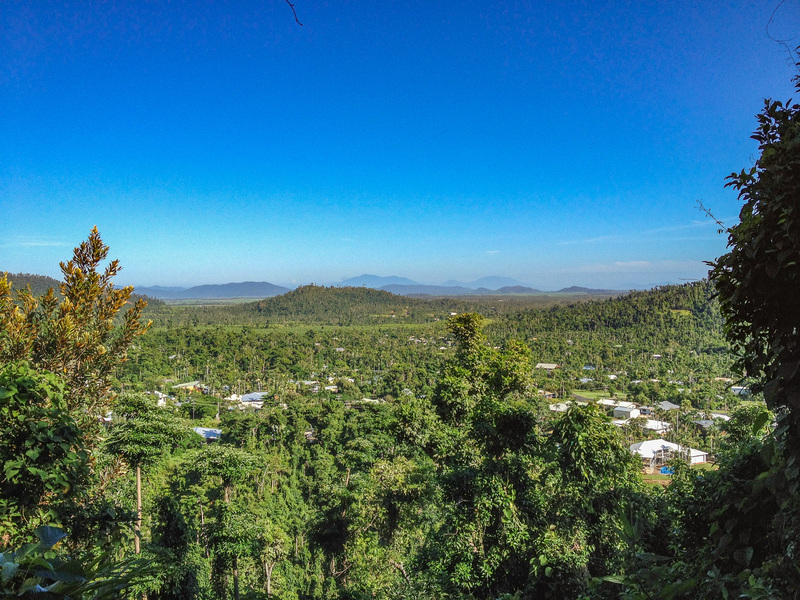 Visit nearby Djiru National Park and enjoy walks through different types of lowland rainforests including fan palm forest at Licuala day-use area and mesophyll vine forest along the creek at Lacey Creek day-use area. 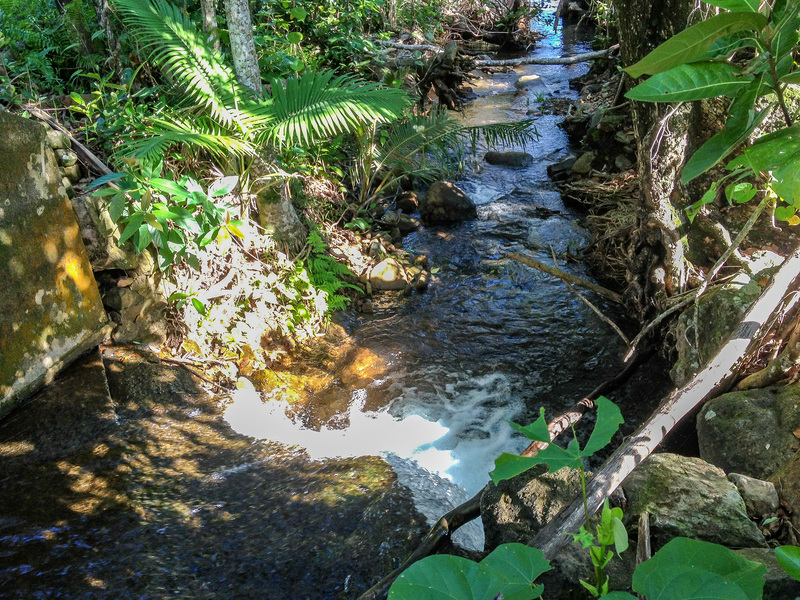 Experience the history of explorer Edmund Kennedy’s 1848 expedition by walking the coastal Kennedy walking track adjacent to Hull River National Park at South Mission Beach. Bicton Hill circuit track, Clump Mountain National Park, is open 24hrs a day, all year round. Please leave your pets at home. Domestic animals are prohibited in Clump Mountain National Park. 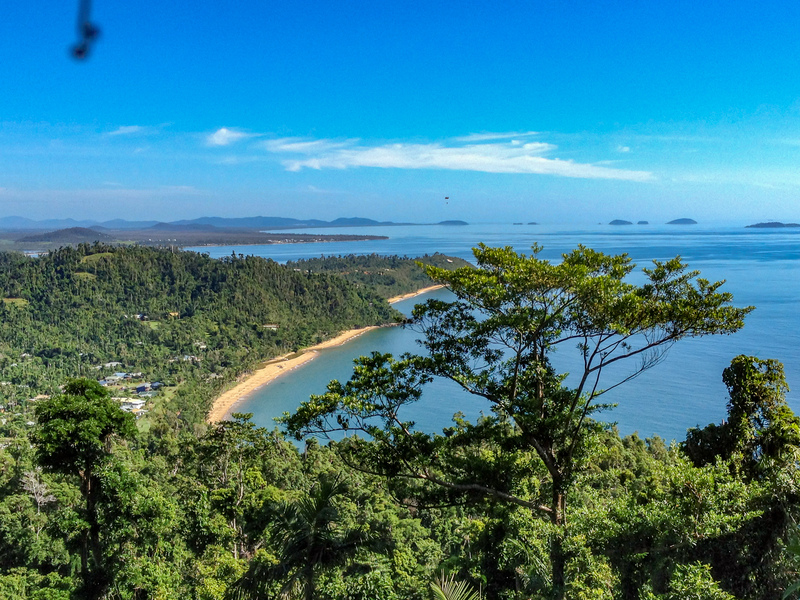 The Mission Beach area, including Clump Mountain National Park, has a tropical climate. Summer can be hot, humid and wet, with maximum temperatures reaching over 35°C. The cooler months from May to September are the best times to visit. During this time it is generally warm, with reduced humidity, and steady south-east trade winds. Remember to make safety a priority when visiting this national park. Stay on the track and take care on loose and uneven walking track surfaces, particularly in wet conditions. 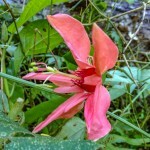 Take care around cliffs and steep slopes along the walking track, and at lookouts. Wear sunscreen, a hat, protective clothing and study footwear. As you walk, allow plenty of time and rest often as heat exhaustion can affect all walkers. keep dogs behind fences or on a leash; dogs are not permitted in national parks. Beware of tar trees Semecarpus australiensis that are found in coastal areas. Contact with the tree, particularly the tar-like sap, causes severe blistering. Resembling cashews, the fruits are set in a succulent, orange stem and have an irritating skin. 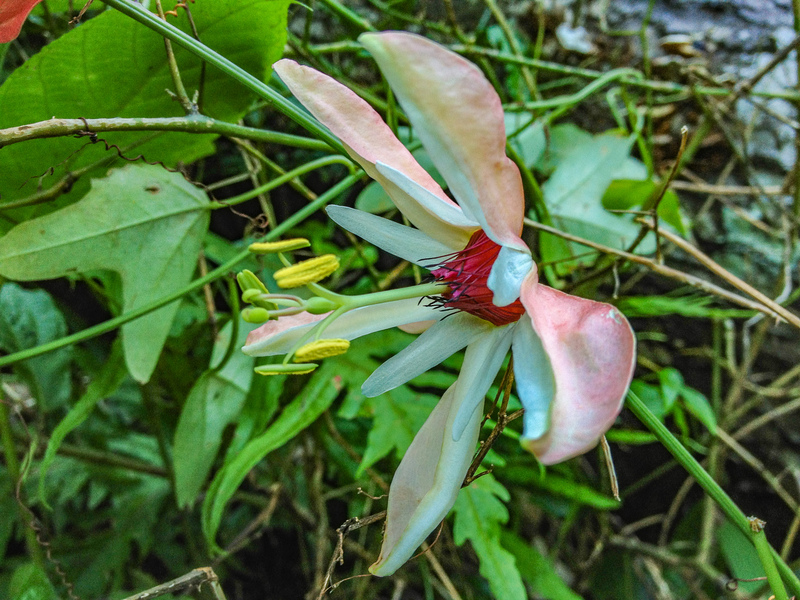 Contact with all parts of this tree, which looks like a mango tree, should be avoided. 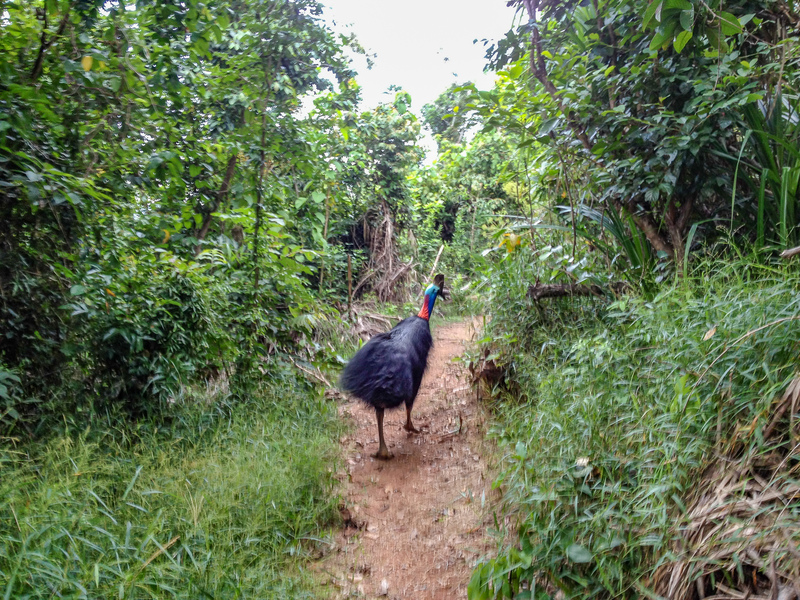 Stay on the walking track at all times—this reduces the risk of injury, prevents disturbance to native vegetation and reduces erosion. Leave no rubbish—litter is unsightly and harmful to wildlife. Remember that cigarette butts are rubbish too. Leave domestic animals at home—they are prohibited in national parks. Bicycles are not permitted on the walking track. Everything in the park is protected. Please leave everything as you found it. 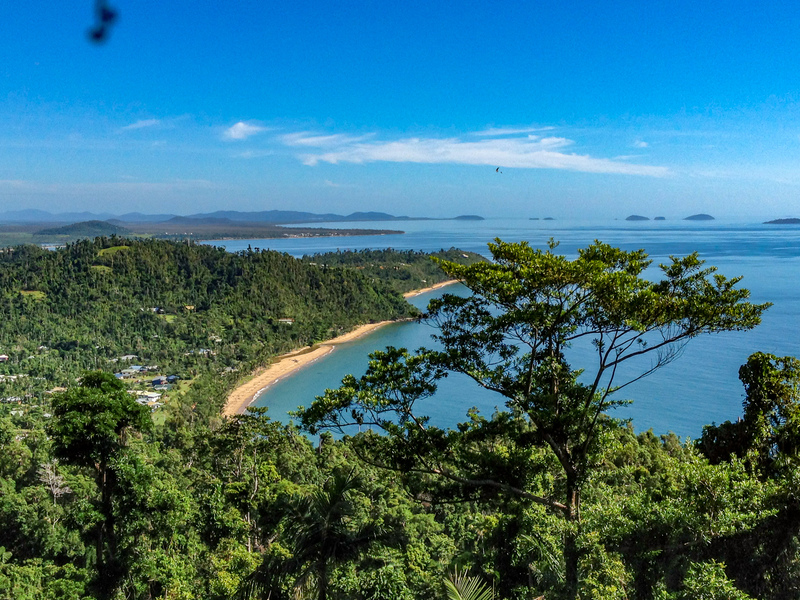 Part of Clump Mountain National Park lies within the Wet Tropics World Heritage Area. The park is managed to preserve the area’s natural, cultural and scenic values while providing nature-based recreational opportunities for visitors. 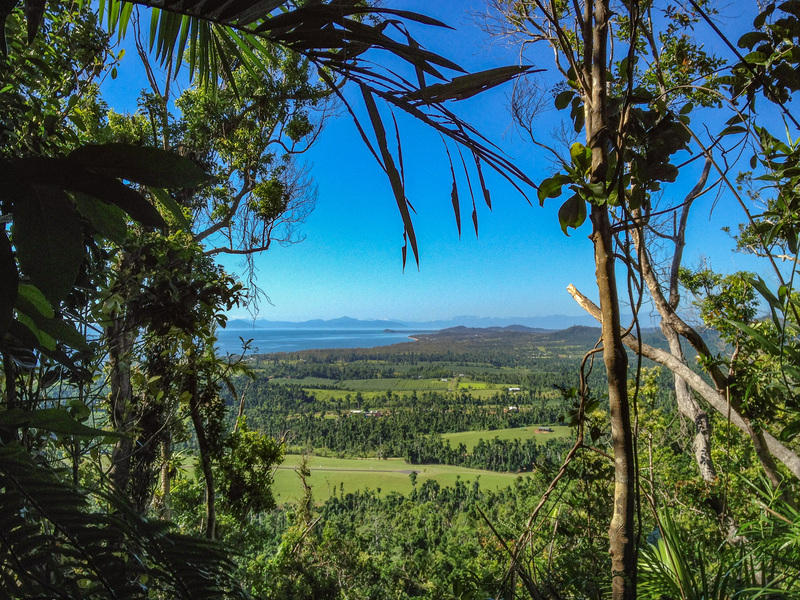 Clump Mountain National Park is managed by QPWS in collaboration with the Wet Tropics Management Authority and the Djiru Aboriginal people.